A journey into a lost America, an artist’s search for a new language of expression, and a tragedy that cuts it short. In Lion and Leopard, Nathaniel Popkin’s penetrating, descriptive eye meets a cast of painters, each of whom believes he holds the key to the future of American art. It is 1818 and the streets of America’s most acculturated city teem with fakes, wannabes, and exiles. Popkin’s work is often grounded in the past, but never settled there. Lion and Leopard has as much to say about contemporary America and contemporary literature as it does about the color palette of painters named Peale, Sully, Hicks, and Krimmel. 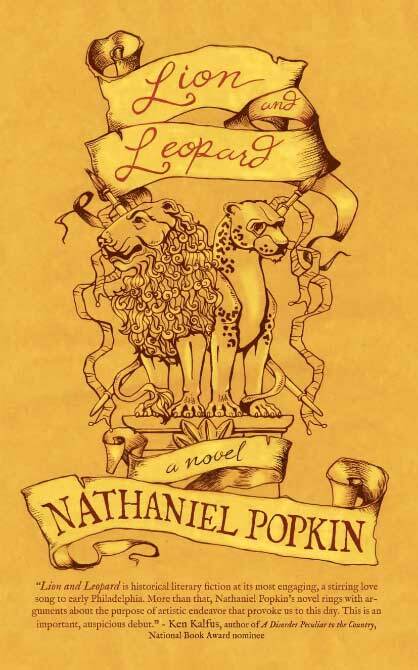 Meditative, melancholic, and also maddening, Lion and Leopard reveals an author gazing in every direction, all at once.